Do you enjoy the delicious flavor of juicy, fresh chicken? Maybe you like fried chicken, baked chicken, chicken parmigiana, or plain chicken nuggets. Whatever your preference is, chicken tastes best when they have been raised by yourself. Which is why you should seriously consider raising your own meat chickens. 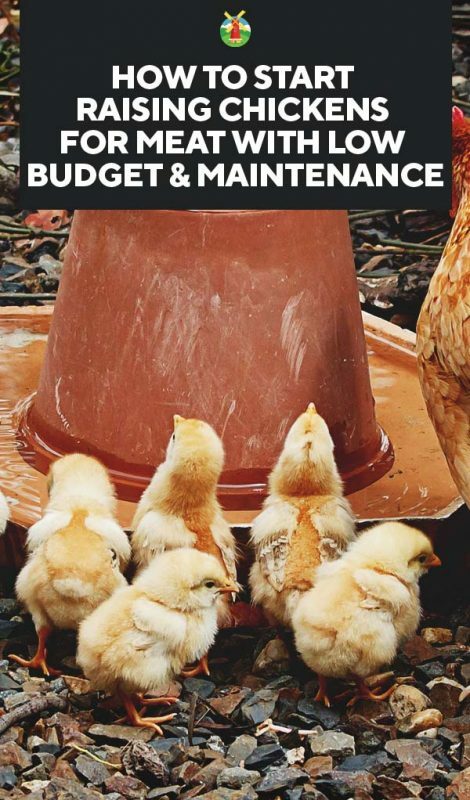 They are low maintenance, quick to raise, and can be raised on a budget. 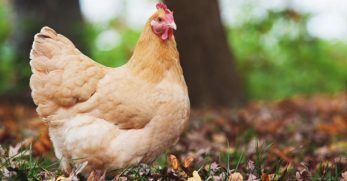 I want to share with you how I raise my meat birds on a budget and in very little space. 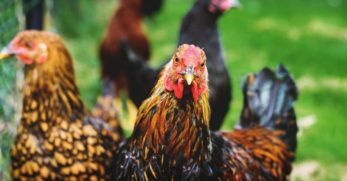 Why Raise Your Own Meat Chickens? Raising your own meat is more work than picking your meat from a grocery shelf. For this reason alone, people wonder why even bother with the extra effort. However, I have very compelling reasons for raising my own meat birds. First, I like to know what I’m eating. When I raise my birds, I know what I’ve fed them, I know they’ve had a good life, and I know the birds are healthy. I also know what they don’t have in them. I don’t give my birds hormones to make them plump faster. I also know my birds weren’t raised in overcrowded situations which are breeding grounds for diseased birds. Before we go any further, I want to be clear. I’m not knocking chicken houses. In my neck of the woods, many families make their living from these houses. What I am saying is chicken houses aren’t for me. I’ve been to a friend’s chicken house and cured me of wanting store-bought chicken. It wasn’t inhumane per say. It wasn’t where I wanted my food to come from. But I also like to raise my own birds because I want to know I have enough food to last my family an entire year when winter rolls around. You don’t know what waits around the corner. Technically, in my situation, we are a one income family. My husband holds a job outside of the home which is where the root of our income comes from. If he loses his job tomorrow, I need to know that food is one less thing I’d have to worry about. When I raise my own meat chickens, I know by November, I’ll have enough chicken to last my family a year. It gives me a sense of security. Finally, I enjoy taking steps to be more self-sufficient. We’ve had crazy storms over the past few months. This winter we were without electricity and water for days because of a snowstorm. As inconvenient as it was, I didn’t have to worry about what we were going to eat. Many people who couldn’t get to a grocery store for days on end were in real trouble. Thankfully, my family wasn’t one of them. 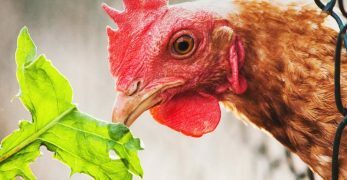 Since you understand why I like to raise my own meat birds, I need to tell you what I feed them to make this venture economical. You’ll also need to know how to store the feed for the birds to keep pests out. In the first four to six weeks, our chicks are kept in a brooder box for warmth. While they are in the brooder, we feed them chick starter feed I do purchase this from our local feed store because of the simplicity of it. Also, I know the chicks are getting what they need to have a healthy start. You can purchase organic versions of this as well if you choose to raise your birds organically. In my case, my budget is front and center at the moment which means I have to take the cheaper route, usually. 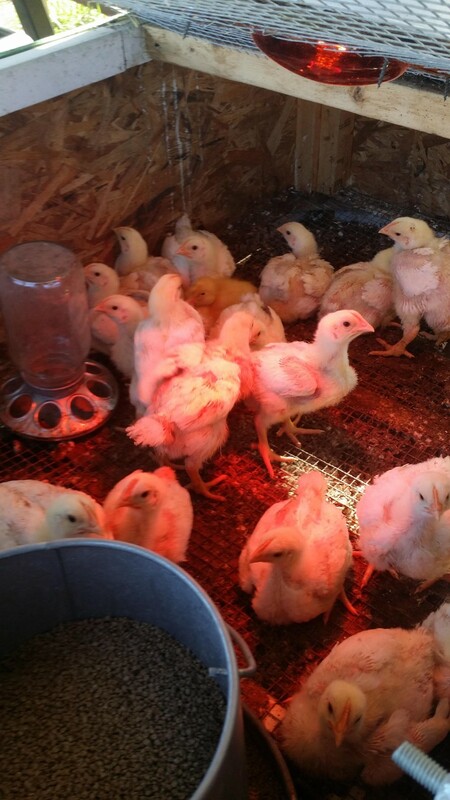 Once my meat chicks can make it without the heat lamp, I move them over to their coop area. 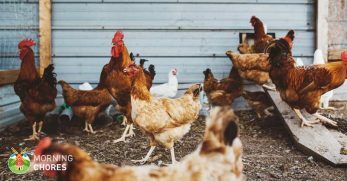 I don’t keep my laying hens and meat birds together because it’s easier for me to keep an eye on the health of the meat birds when they’re separate. You may not find it necessary to separate them, but I prefer it. In past years, we usually stock up on deer corn during deer season. Corn is extremely cheap during this time, and we take full advantage of it. Corn keeps as long as it’s stored in a dry area where no pests can access it. If you have a secure location, you can buy as much as you need ahead of time and be ready for meat birds. Many local farmers grow corn and (if they aren’t under contract) will be willing to sell you some of their corn. 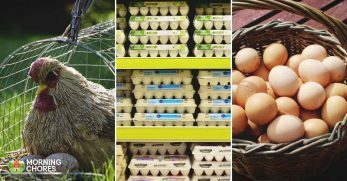 This brings a local farmer some extra income, and you have feed grown locally and less expensive than your store-bought alternatives. When all else fails, you can buy whole kernel corn or cracked corn from your local feed store. 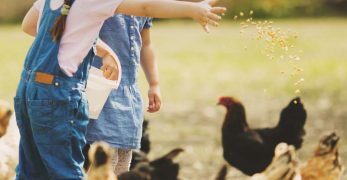 It’s better to feed chickens whole kernel corn because of the oils the chickens get from the outside of the shell when eating it. Finally, you can do what we’ve decided to do this year. We found a great deal through social media where we can purchase corn tortillas by the truckload for $30 a load. Our chickens love it, and it’s saving us a bundle. Shop around through local yard sale pages and social media pages to see if anyone is selling corn-based food products which might be day old and they need to get rid of it. 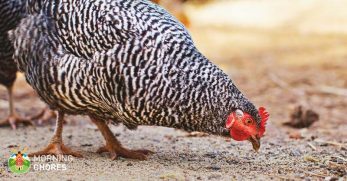 Once you know what to feed your birds, you need to consider how to store the feed. If you have a barrel or a durable trash can with a lid, this should be a good option for storing your feed. It should keep it dry and make it difficult for mice and other pests to get into it. 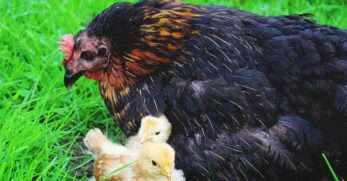 Meat birds need to be kept under a heat lamp in a brooder box for the first four to six weeks. 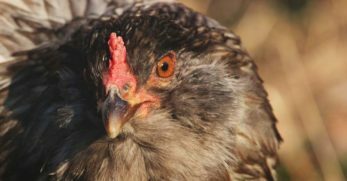 When they are fully feathered, they can sustain themselves without a heat lamp. 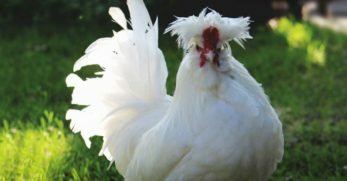 From there, they can be kept cooped or allowed to free range. You’ll treat them like you would any other chicken. In our case, I have a small shed with only two sides. This blocks the wind. Inside the shed, I have multiple roosting bars. 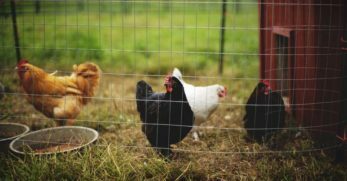 The chickens are fenced into a 25×25 area, and I put poultry netting over the entire set-up to keep the birds protected from overhead predators. I decided on this set-up because I used what I had to work with around our property. 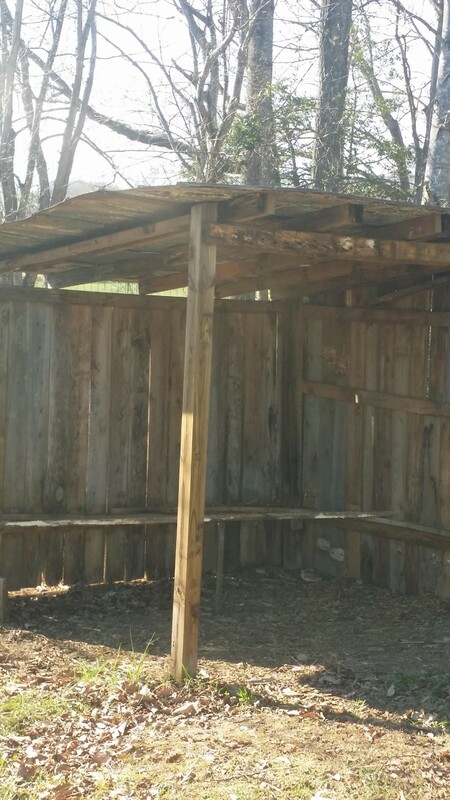 We had an old chicken coop on the farm which we reworked for our birds. 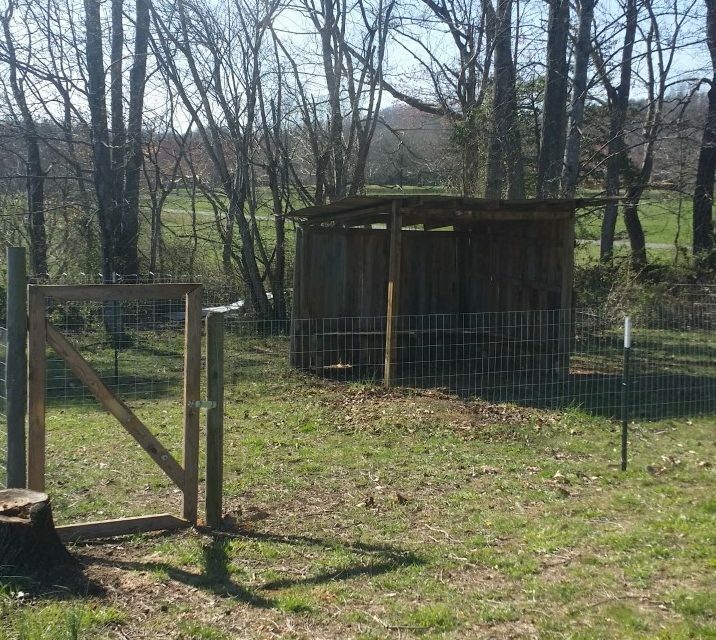 I had old fence posts, an old coop door, old perches, some previously purchased poultry netting, and old metal for the roof. The only thing we had to purchase was a roll of wire for the fence, which cost $60. I did things as cheaply as I could but to where it would still function as I needed it to. 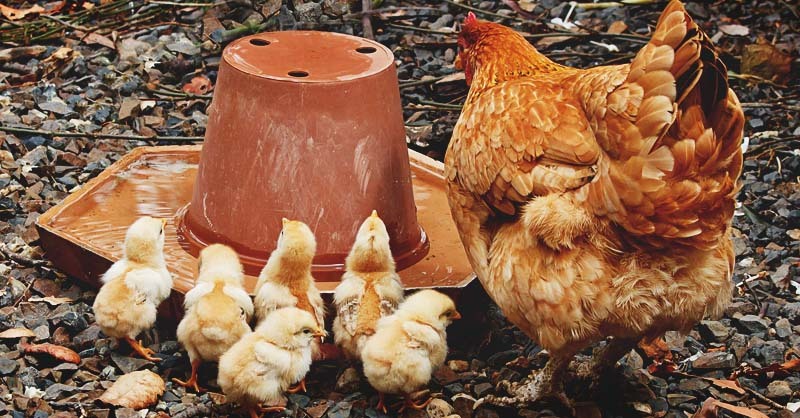 Finally, you’ll need a place to water your chickens and a way to feed them. You could toss the food out on the ground and allow them to scratch for it if it’s your preference. If not, a basic chicken feeder will do the trick. It’s also a good idea to have a poultry waterer as well. 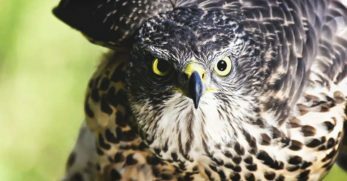 As long as your birds have food to fatten them, water to keep hydrated, and a safe space to get out of the weather and to sleep, they’ll be happy. There are many different varieties of meat birds. My personal favorite is the Cornish cross. They require only 52 days to reach maturity and usually grow to be around 8.5 pounds during this period. I like this variety because they grow quickly and are a decent size if I decide to butcher within this time frame. In my experience, I usually let them grow for the full two months. It’s easier for me to remember the butcher date this way, and it gives them a few extra days to put on a little more weight. 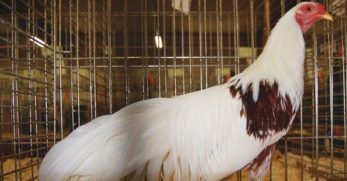 I’m going to discuss with you in the next section why this variety fits our needs the best, but for now, you should choose the type of bird which will work best for your situation. Maybe you don’t need a mass amount of chicken. You need a few birds to enjoy fresh chicken for special occasions throughout the year. If so, you may prefer a different variety which takes a little longer to grow out but will produce a larger bird. Keep your needs in mind, when choosing your variety. 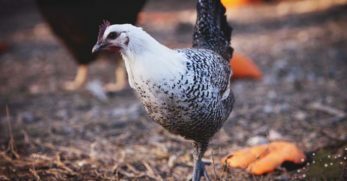 When you find the type you want, you can order them online and have them shipped directly to you, or you may be able to find them at a local feed store during certain times of the year. 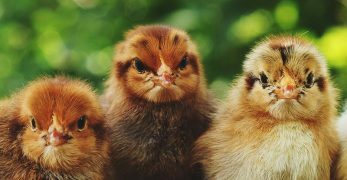 See the complete list of chicken breeds for meat here. 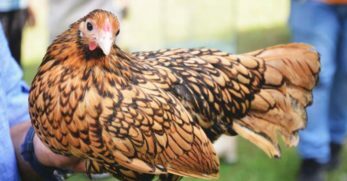 I choose to go with a Cornish cross for my meat chickens because I need to raise between 75 and 100 birds per year. I live on ten acres and could potentially raise this many birds at once if I wanted to use the space. 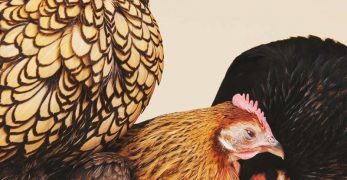 However, I raise various other animals too which need the space, and to be frank; I don’t want to butcher 100 birds at a time. 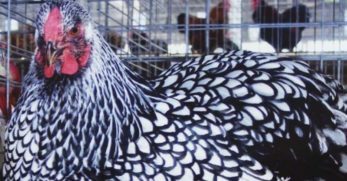 Instead, I choose a fast-growing variety and want to raise my meat birds in batches of 25. I start in March and finish butchering the last round of birds in early November. I live in the southern part of the United States which means we only have winter in January and February, for the most part. These milder conditions make it possible for me to raise meat birds for most of the year. Raising smaller batches means I have fewer birds to care for at a time and less space required to raise the necessary amount of meat birds my family needs per year. Butchering chickens is a simple process. You dislocate the chicken’s spinal cord and remove the head. From there, you can skin the chicken or pluck the feathers. You’ll need to cut the bird as well. 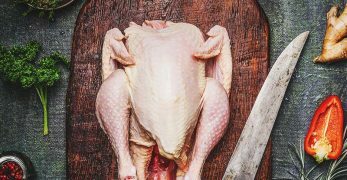 When you’ve completed the process, you can either can your chicken meat, freeze the chicken whole or divide the chicken out and freeze it. I can some of my chickens and quarter the other chickens before freezing. Preserve them in whatever method you’ll use the most. Also, don’t forget to make chicken stock with the leftover bones and skin. 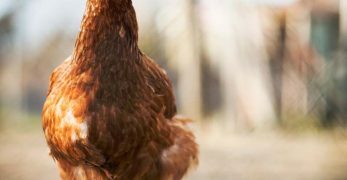 When you’ve finished storing the chickens and utilizing the remaining parts, you’ve officially raised meat chickens and put every ounce of their life to use. Congratulations! Well, you now know everything you’ll need to raise meat chickens. You also know how I raise my meat bird on a budget which makes for healthier eating for my family, but also saves our family money too. But I’m curious, how do you raise your meat birds? Would you mind sharing your set-up with us? We’d love to hear from you. Leave us your comments in the space provided below. 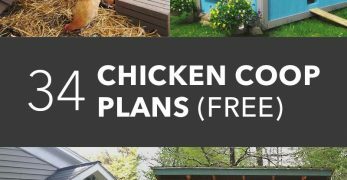 Do You Have What It Takes to Raise Chickens in Your Backyard?